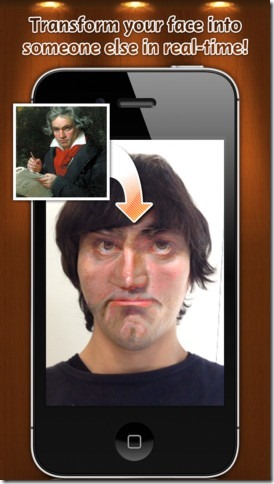 I have seen many type of iPhone app, but not like Face Stealer. Face stealer is something different compared to any other app which we usually found on app marketplace. Like many other app, it’s not going to solve any of your problem instead you can make fun with this app. 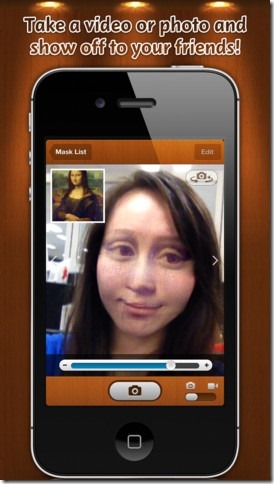 Face stealer is an iPhone app (available for other iOS product as well) developed by Yahoo Japan team. The main job of this app is to steal someone face and make anyone face look similar to stolen face. In simple word, it change your face look to some else look. This app comes with 9 inbuilt Mask list (faces of other person). As I told, It come with 9 Mask. That doesn’t mean that you can transfer your face to only these 9 mask (face) type. In that app there is an add option available where you can able to add by searching over internet or by choosing it from library or you can even take a Photo from your iPhone camera. If you are dreaming your face should look like some celebrity or your friends or someone else., then you can try this fun application. It may not give a complete closure look of your mask, but it will transform your face to somewhat extent. Finally, this is completely a fun app. Just try this app with friends I’m sure you will enjoy it. This app is completely Free.